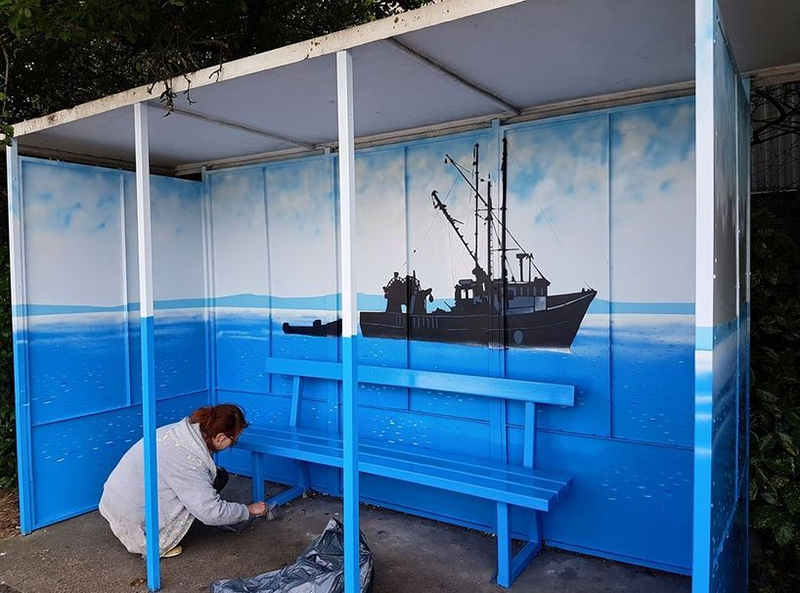 This mural was painted on a tired looking bus stop in Queenborough, to brighten up the area and cover up the graffiti left on the bus stop. 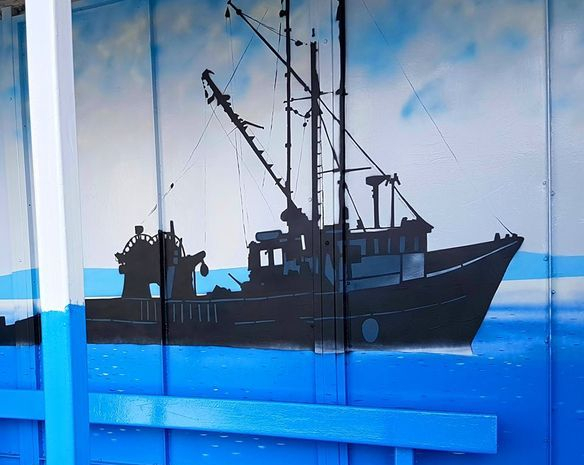 We painted the entire shelter, inside and out, with metal paint and then made and sprayed a stencil of a fishing trawler on the inside. Once it was finished we coated it with anti graffiti varnish. This mural took us four days to complete.